(Nov. 15, 2013) -- The National Association for Bilingual Education (NABE) history can now be found at The University of Texas at San Antonio (UTSA), where it was partially rooted. Albar A. Peña, former UTSA faculty member and the first director of the UTSA Department of Bicultural-Bilingual Studies, helped start the association and became its first president in 1975. Now, nearly four decades later, the association's records are being preserved at the university. NABE has donated 61 boxes of correspondence, administrative files, legislative lobbying documents, audio-visual materials, photographs and conference records to the UTSA Libraries. The association is an advocate for bilingual and English language learners and cultivates a multilingual, multicultural society by supporting and promoting policy, programs, pedagogy, research and professional development. The collection constitutes 43 years of history that represent the work many individuals have carried out to advance bilingual education in the U.S., said Rossana Ramirez Boyd, immediate past president and current member of NABE. "We are pleased to know the UTSA Libraries will make the information available to the public," she said. 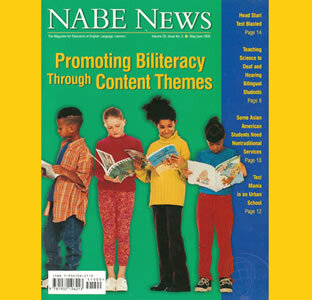 "This is particularly important to the new generation of scholars and policy makers who have been searching for NABE's history to write their thesis, dissertations and articles on bilingual education." Belinda Bustos Flores, professor and chair of the UTSA Department of Bicultural-Bilingual Studies, helped facilitate the acquisition. "There are historical roots and reasons for UTSA having the NABE archives," said Flores. "Albar Peña had a long history of activism and vision for bilingual education. His professional records alone consist of 16.2 feet of archival materials spanning more than 40 years, during which he served Texas and the nation in high-level positions of advocacy for bilingualism and biculturalism. We are thrilled to have this legacy available at UTSA." NABE was looking for a location with a reputation of strong collections and services that included organizing and making the collection available for research, while providing onsite and remote reference services. "With Bicultural-Bilingual Studies as one of the founding academic units at UTSA, bilingual education has a long history at the university," said Nikki Thomas, manuscripts curator at UTSA Libraries. "Special Collections is pleased to add the records of NABE to our holdings where they will complement both manuscript and university archives collections." >> The collection's inventory is now available online. Students, policy analysts, teachers and others interested in the instruction and legislative efforts around bilingual education can submit a request to access the collection. >> Connect online with the UTSA Libraries at lib.utsa.edu, www.facebook.com/utsalibraries or www.twitter.com/utsalibraries.